📅 August 2017 February 5, 2019 by Bruno B. 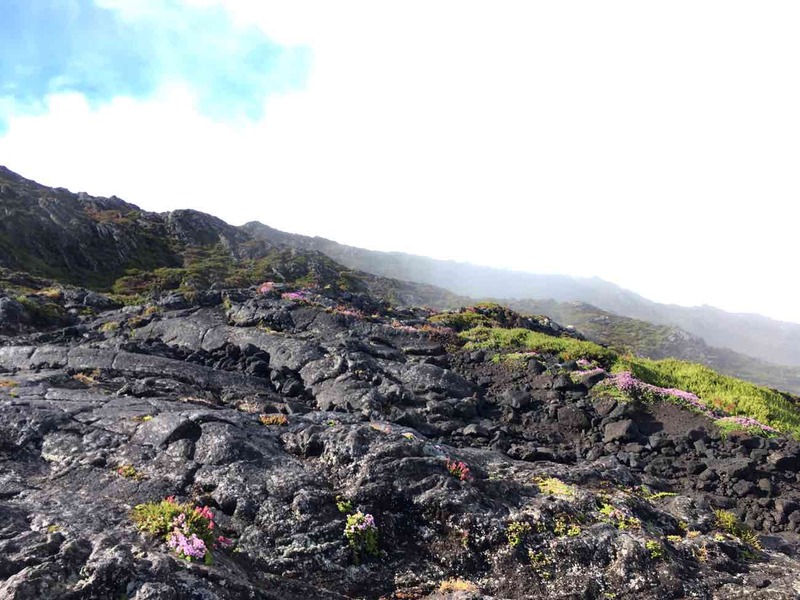 During my last trip to Azores, I had the pleasure of climbing Mount Pico in Pico island. Here’s my experience and how you can get to the top safely. 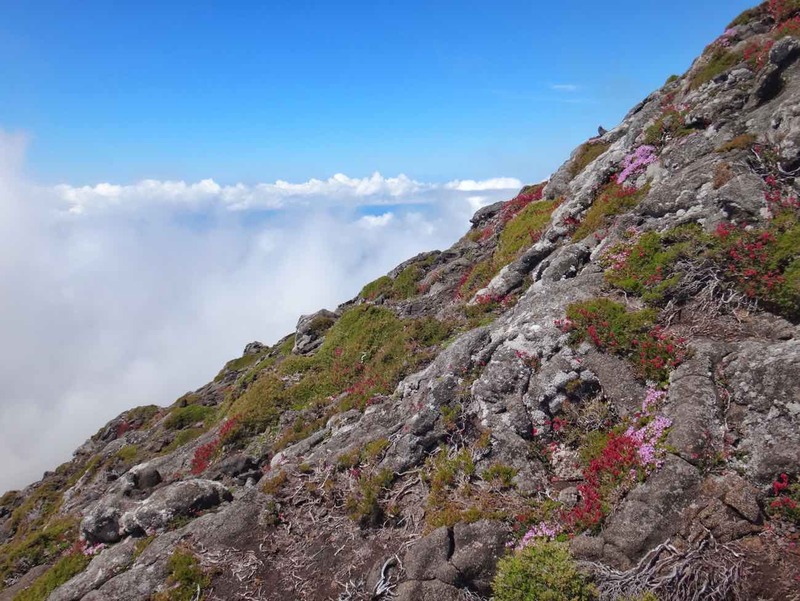 While it’s not by any means amongst the tallest in the world, Mount Pico can be deceptively difficult to conquer which leads to many failed climb attempts. About 1 third of climbers don’t make it to the top. 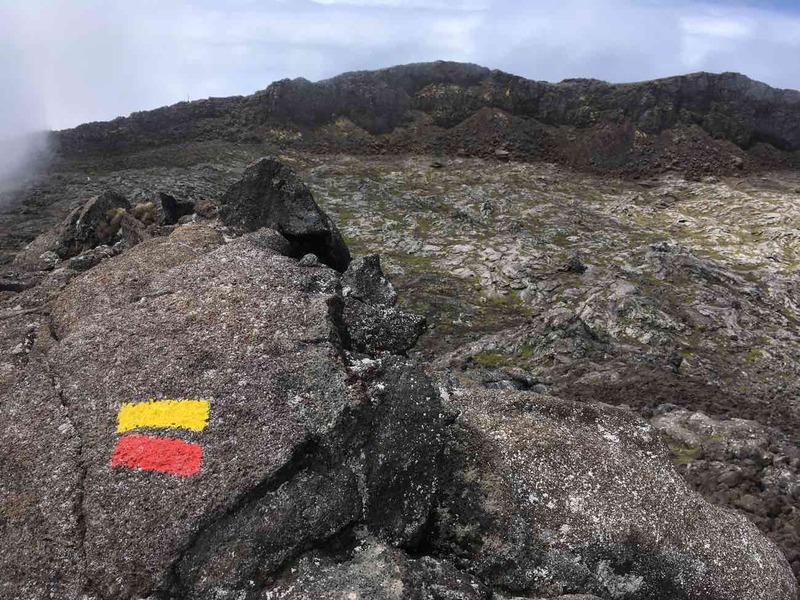 In this article I will share my experience hiking Pico as well as some essential tips for you to hike all the way up safely and smartly. But first, some basics about Mount Pico. Standing high from its 2351 meters of altitude, Montanha do Pico (Mount Pico) in Pico island is the highest peak in Portugal and the third highest in the Atlantic Ocean. 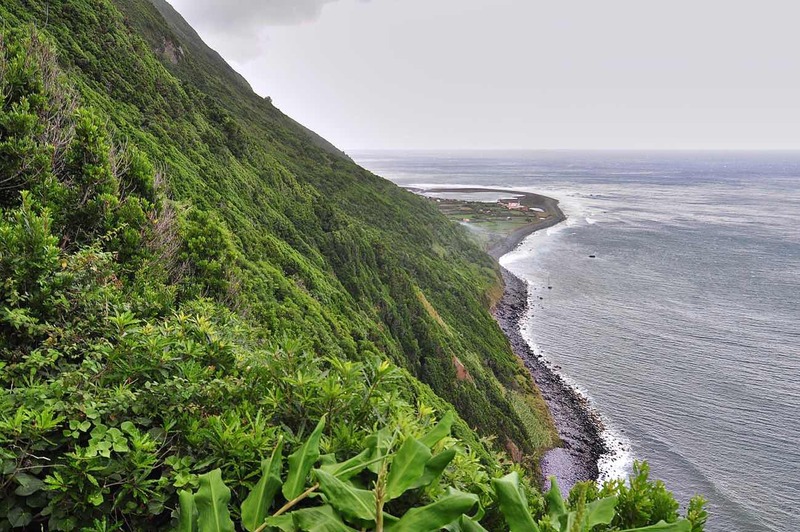 Hiking is big in other islands of Azores but going all the way up this dormant volcano beast is the ultimate azorean challenge. 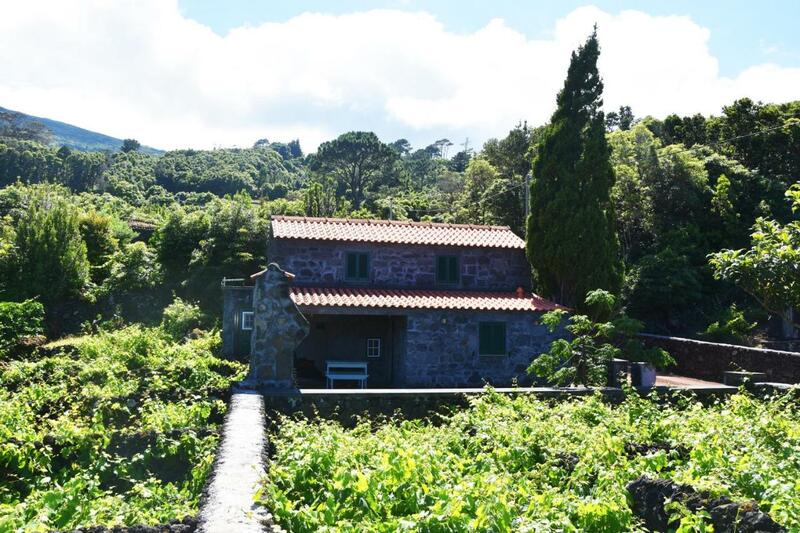 It’s definitely the top thing to do in Pico island and part of the its trilogy: mountain, wine and whales. There is a total of 47 numbered poles on the way to the peak – although after pole #44, you’re already on the crater of the volcano. After that point there’s a final 70m summit to a mini-mountain called Piquinho which may well be the hardest part of all. All climbers – with or without guide – need to check-in in Casa da Montanha. Standing at 1200m high, this is the starting point for everyone. You are given a GPS and your location is tracked every minute for safety purposes. You don’t need to be in an elite athletic fit level to hike Pico, but let’s say if you’re not, you will definitely feel it. The climb is not to be taken light-heartedly. While many mountains have a clear and slowly steadily trail – like Mount Vesuvius – Pico is basically a very steep uphill hike. In some parts it feels dangerous. The wide range of hard rock formations and different types of soil are quite a challenge to your feet, ankles and knees. In winter, snow and ice can turn things even harder. A guide is highly recommended not only for motivation purposes, but also because they know the shortcuts, shelters in case there’s bad weather and even the best paths to follow and the best rocks to put your feet on. Personally, during our climb we suffered with the constant weather changes and I can safely say would never made it to the top without our Épico guide, Mónica! Try starting your search with this shortlist of hotels and rural properties in Pico. It only includes the properties with the best reviews, free WiFi and location. We were excited when we left our rural house in Prainha at 6h30 in the morning. With the clear sunny weather and with the excitement of our guide Mónica it seemed we were on track for an epic adventurous day! But it wouldn’t be as easy as it seemed. In fact, we had a very hard challenge awaiting! When we arrived to Casa da Montanha about 20 min later, the weather had turned completely. A wild combination of heavy rain, mist and wind appeared and made it impossible to see even 100m ahead, much less the peak of the mountain. 20 min before arriving to Casa da Montanha this was our view from the van. Weather changes FAST here. For almost two hours we waited for better weather while debating whether we should climb or not. 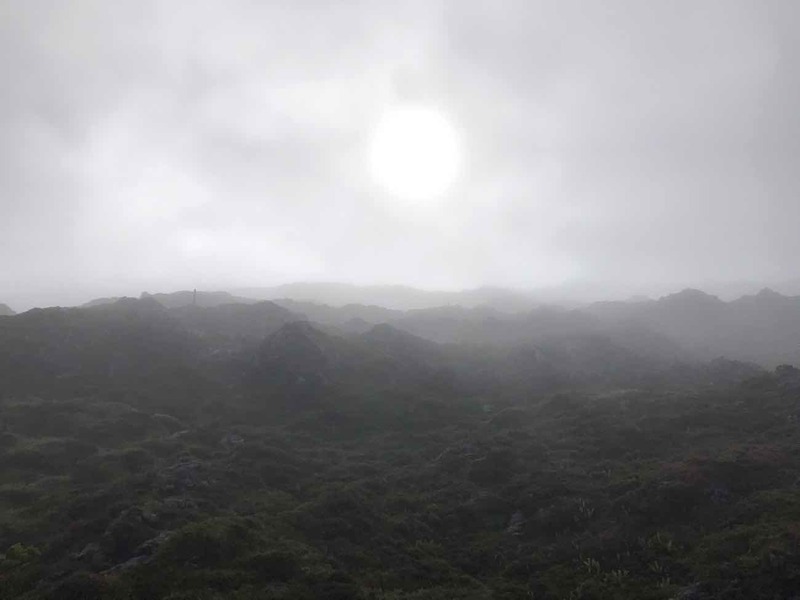 The webcams from up there on the crater were not promising and neither was the “stormy” weather forecast for the entire morning. Fortunately we had requested Épico for some extra equipment in advance – warm sweaters, rain jackets. Thanks to them we felt a bit more confident. I also felt super prepared when I compared myself with other people who started to climb on shorts and summer shoes. Wow. The only words from our guide are still echoing on my mind: “this is your decision entirely, but remember that whether it’s rainy or sunny, every climb to Pico is magical”. Since I am writing this post, I guess you know what we decided! Our climb started at 8:45. The best word to define the first 2 hours is “miserable”. 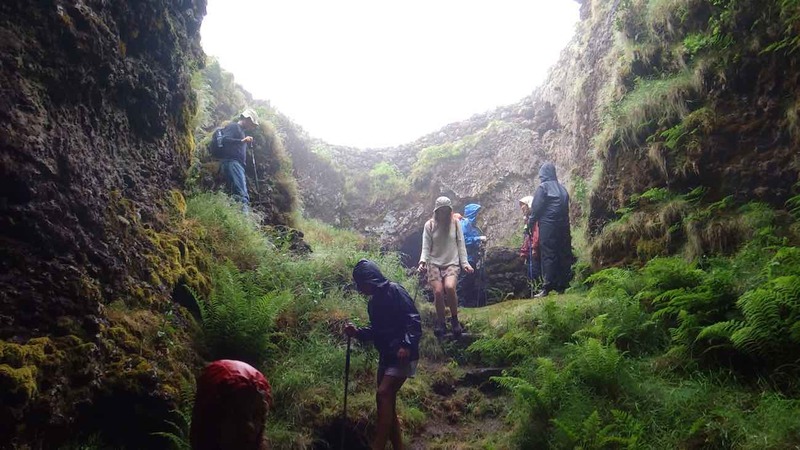 The rain hit us from all possible angles, the fog was intense and the smooth layers of volcanic ground were extra slippery. Plus, seeing poles #8 and #9 pass knowing there are 48 (!) in total is a bit disheartening. But what was really killing me was the strong possibility of going all the way up, don’t see a thing and coming down again with those depressing weather conditions. Other groups joined us in the shelter. We could be miserable together yay! Around marker #16 motivation of our group was an all-time low. Drenched, tired and grumpy, I’m not ashamed to say I was seriously in the verge of giving up. This was a critical moment. I remember Mónica trying to keep us distracted talking about random stuff and looking for any possible reasons to keep us going. But despair was settling in. Things started to shift when a teeny tiny of blue sky appeared on the sky. Even though it was still hidden behind a thick layer of clouds, we could see the sun. When you’re absolutely soaked to the bone, never underestimate the power of closing the eyes and catching some warm sunrays. This confidence booster was definitely the turning point of the climb and the first hint of the “magic” Mónica was talking about. We were hiking towards this apocalyptical scenario. As fast they came, the weather started to clear. The scenic views started to appear between the break in the clouds and suddenly we could finally appreciate how remotely beautiful was the landscape. Finally some beautyf was unraveled. Around marker #24 and for the first time in hours we could see the top. Psychologically, knowing that you’re halfway made a huge difference in our mindset. There was no way we would go back now! In a way, hiking Pico is going on a Geology field trip. 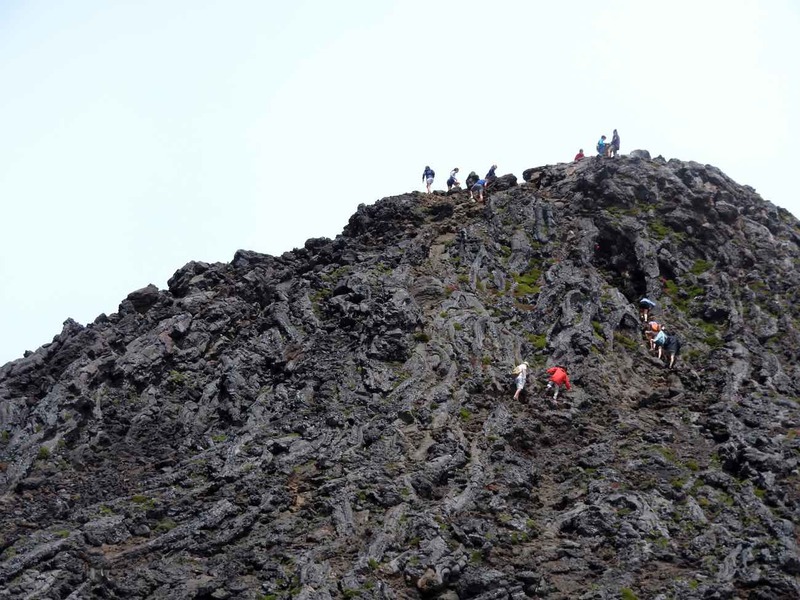 There are no trees on the mountain but you literally step on all kinds of volcanic formations, from huge lava flows that resemble ribbon candy to sharp spiky volcanic rocks and even fossilized smaller volcano craters. After reaching marker #44, you’re technically on the big Pico crater. It truly is a wow moment to be on the edge of a volcano like that. The moon-like volcanic landscape floor of the crater hides stone pits and shelters made by climbers who visited the summit. These are popular choices for people who want to spend the night up there, with privileged sunrise and sunset views. Note: everyone must bring a tent to sleep in the crater. What was left was the most technically challenging part. Piquinho is another summit that felt like climbing a second much-more-steep mountain. It may only be 70 meter high, but apart from some random yellow and red poles, there’s hardly a trail to follow anymore. The ground is more slippery than ever and you need to use your hands to make your way up. It’s borderline rock-climbing. It’s not suited if you suffer from vertigo, but fortunately the under-cast of clouds didn’t let me scare too much. Piquinho in all its glory. Can you spot the hikers up there? As you approach the peak, we experienced a new sensation: heat! Yes, there’s hot steam escaping between the fissures of the rocks. The stones are hot, the surrounding air is hot, I’m hot, everything is hot! A gentle reminder the ground beneath your feet is very much alive. When we FINALLY arrived to the top there was a constant cycle of clouds and clear skies going on. 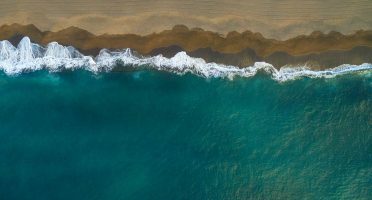 We had some glimpses of the gorgeous 360-degree views of the Atlantic and the nearby islands of Faial and São Jorge, but never clear views. Not too sure how my vertigo would cope with that though. But the real magic comes from within. Up there, a rush of emotions comes to your mind every time you breathe out. The sense of accomplishment makes you feel like you can achieve anything in life*. And at least at that moment there’s no one as high as you in Portugal! Mount Pico crater as seen from above. We stopped for lunch on the crater for about an hour. Our delicious lunch we had packed – trust me, a basic cheese sandwich tastes incredible when you’re 2 km high – plus the many surprises that Mónica kindly gave us reinvigorated us and prepare us for the way down. 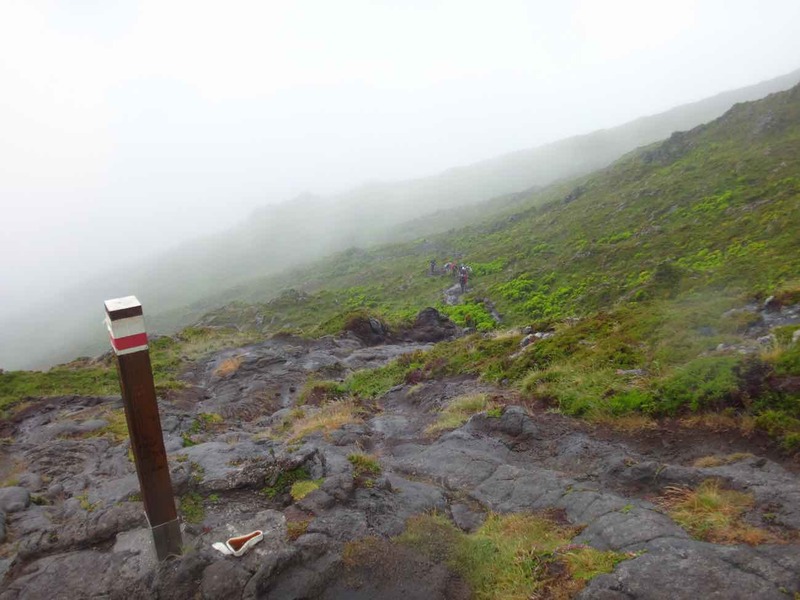 Counting with stops along the way – including a 30-min to shelter us from the heavy rain – our climb to the top of Mount Pico took almost 4 hours. Weather wise, the way down was far more enjoyable. But incredibly I found going down was a lot harder than going up. Mentally, there’s no real goal anymore and physically is much more demanding. It’s just hours of choosing the best place to put your feet on the tricky old lava flows, hanging to branches and trying to avoid too much impact on your knees. A mix of fatigue and drowsiness settled in, but somehow we only took 3h30 on the way down, stopping only 2 times along the way. At least the weather was much better and we could appreciate much more the beautiful wild landscape. In total, the climb to Mount Pico took almost 9 hours, including 1h30 for all the stops for food, shelter, and pictures. 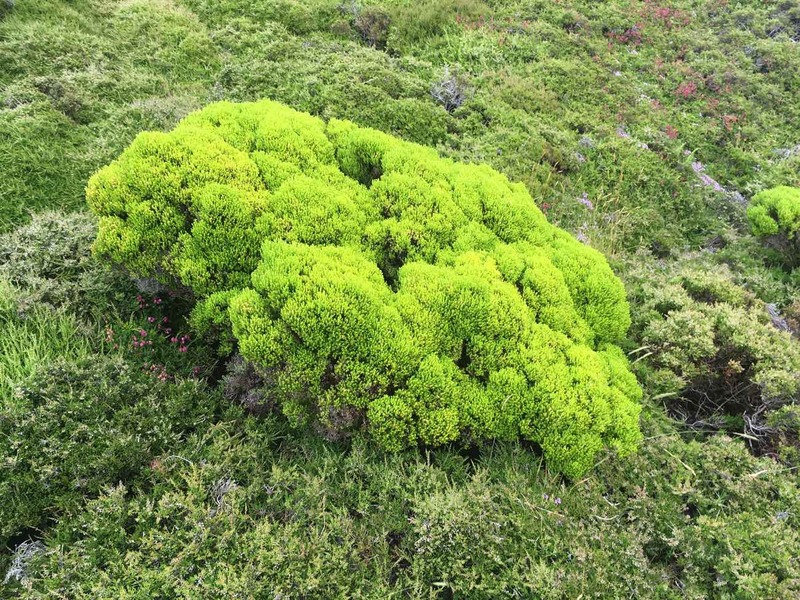 This plant is called Urze – the Hulk of plants. No filter in this photo. Like I mention on the beginning, having a guide was KEY to our success. Don’t think just because there are markers to sign the path the hike will be any easier. 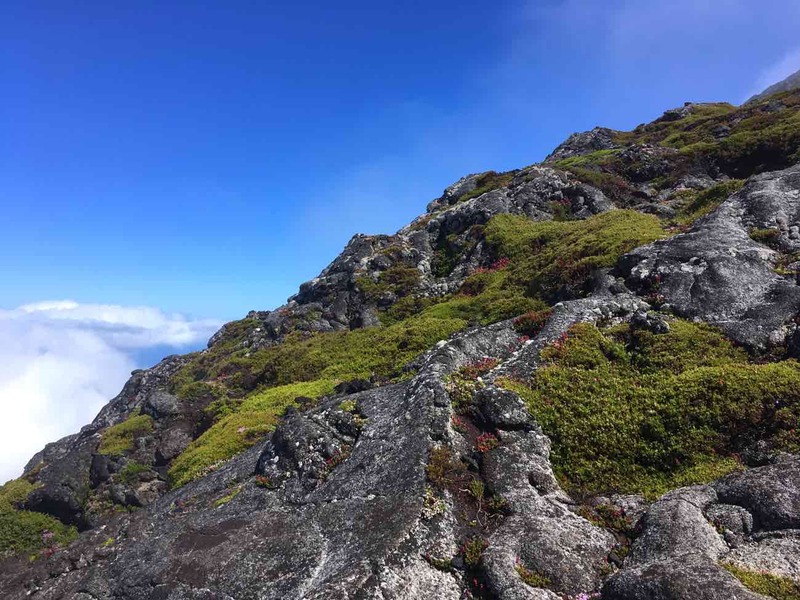 Climbing Pico mountain is so much more than following a marked trail. Not only it’s a mental endeavour, but you also need to be smart about the best paths to go and the safest rocks to put your feet. Having someone that has done this climb dozens of times really makes you feel more secure and confident. There’s a reason why Épico has got a 5-star rating on TripAdvisor. From the get go, the girls were a delight to interact with. They answered all our questions, doubts and even prepared some equipment and clothing we couldn’t take on our luggage. They also prepared a couple of personalized surprises for us which were a nice touch. I like Épico only does small group tours. 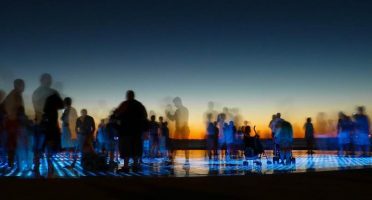 They work with a maximum of 8 people per group (ours had 5), which enables the guide to give you individualized support at every step of the way. Other tours I’ve seen had 15 people which is way too much – remember you only move as fast as the slowest member of your group. Our guide Mónica was funny, with a contagious excitement and with great passion about what she does. Not a coincidence she has climbed Pico almost 100 times! She helped our group of 5 paying attention to individual needs and handicaps. The technique of letting the most fatigued /discouraged person lead the way made everyone confident to keep going at all times. She was also extremely knowledgeable about the geology, fauna and flora of the mountain which significantly enriched what else would be a mere tiring day of climb. Overall, I would definitely recommend Épico to anyone visiting Pico (there’s a reason why they’re #1 tour agency in the island!). Oh and in the end she was right. Our Pico climb was indeed magical and EPIC! This really put things in perspective, doesn’t it? Go with a guide. Coming from someone who rarely gets a guided tour on his travels, this is huge. Seriously, it will make this hike way more enjoyable and safe. There’s a fee involved. If you decide to skip a guide to save money, be aware you’ll need to pay a fee to go all the way up. In 2017, this fee is 10 euros for the mountain + 2 euros for Piquinho. Leave only footsteps. 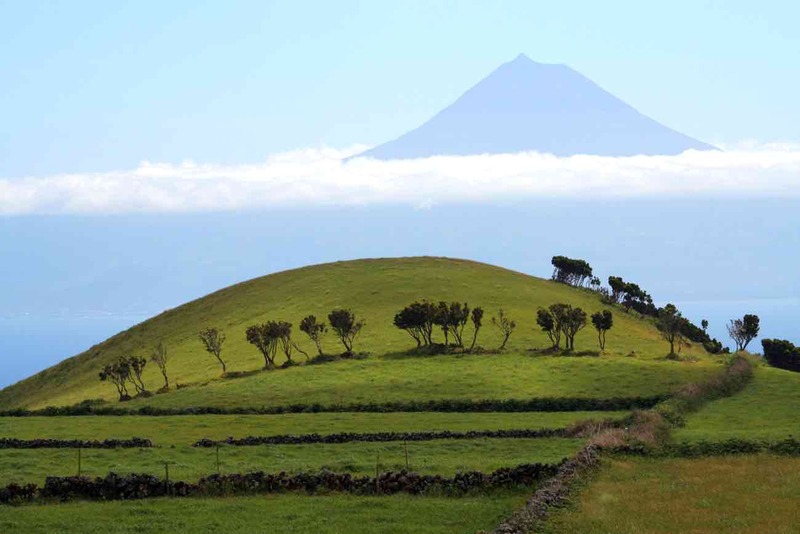 Mount Pico is a natural reserve, standing on a fragile balance of their limited fauna and flora. Make sure you bring all trash back down with you, don’t be that person! Get a good night rest the night before. You’ll definitely need it. Trash bag – don’t leave anything behind!! Again, if you don’t have some of the items on this list or simply don’t have enough space on the luggage, Épico will do their best to provide you with some spare gear and clothing. 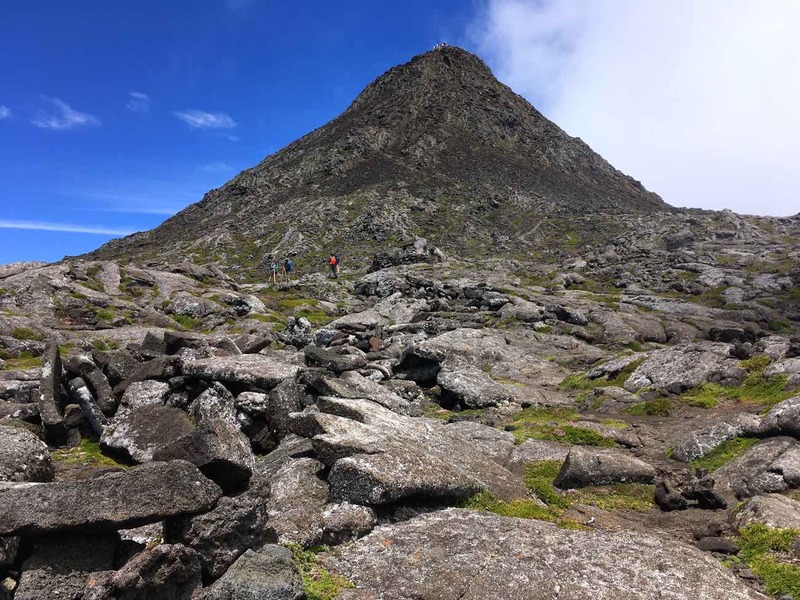 If you’re into hiking and you’re coming to the Azores, climbing Mount Pico is a great way to challenge yourself and come back home with a story to tell. While the rest of Pico island is beautiful, this kind of overshadows everything else you can do. It’s not an easy climb – especially if you’re not fit – and will put your body and mind to the test, but it is absolutely worth it and rewarding. Interestingly for me it was much more of a mental than a physical challenge. The real hard part was to manage the rush of emotions – from absolute despair to utter excitement – along the way. Finding the right mindset for every moment of the climb was hard, but once I had find my balance, putting my feet one in front of each other was easy. The only thing I’d change was the weather conditions. I would loved to get some more clear skies to delight on views over the ocean and nearby islands. But at the same time, this made the experience more well-rounded and complete. During the ascent on the flight back to Lisbon, we saw the top of Mount Pico. Thinking “I’ve been up there” gave me a mini-chill. Pretty sure every time I see that mountain again, this feeling will come back. Try starting your search with my shortlist of hotels and rural properties in Pico. It only includes the properties with the best reviews, free WiFi and location! I usually don’t use travel agencies to book holidays. They end up being more expensive in 99% of the times. 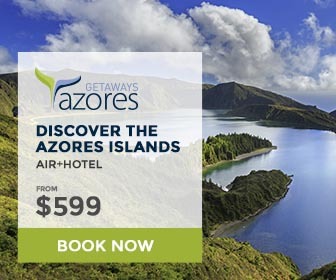 Yet I have to make an exception for Azores Getaways because I really think they have some pretty good prices for a flight + hotel + transfers packages to the Azores – starting at 599USD! I particularly recommend using Azores Getaways if you are flying from the United States and don’t have much time to plan your holidays. This article was made in collaboration with Épico. As usual, all opinions are my own and reflect my honest personal experience. Have you climbed a mountain before? 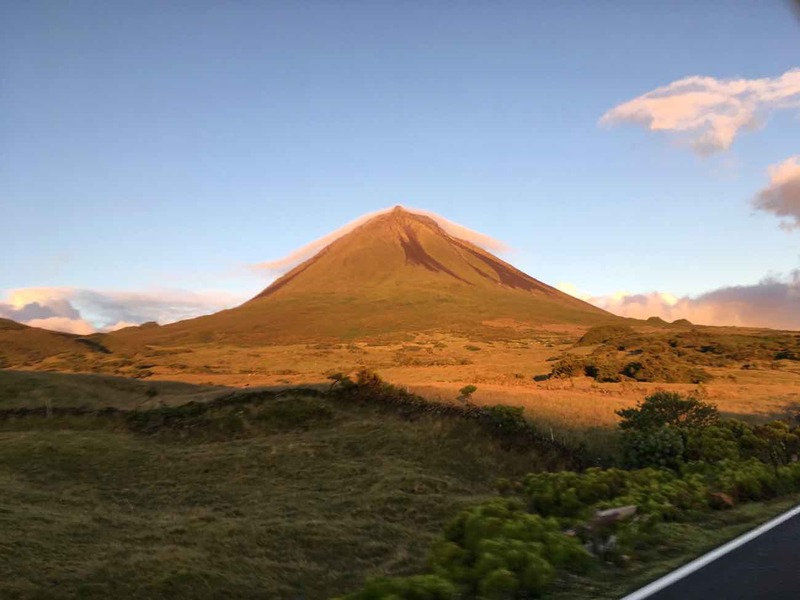 Are you planning to hike Mount Pico in Azores?